Have your club or organization contact us to have your events posted here! 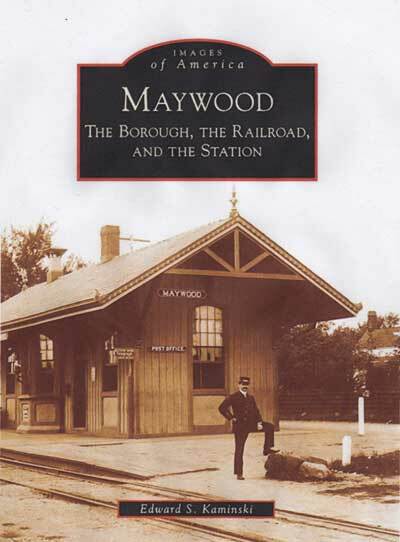 "MAYWOOD - THE BOROUGH, THE RAILROAD, AND THE STATION"
A new book, entitled "Maywood - The Borough, The Railroad, and The Station" has been written by historian, author and Maywood Station Historical Committee President, Edward S. Kaminski and published by Arcadia Publishing Company. 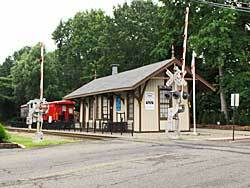 The 128-page book traces Maywood's history from a farming community through its population and industrial growth brought on in part by the coming of the New Jersey Midland Railway in 1872. Separate chapters include The Borough of Maywood; The New York, Susquehanna & Western Railroad in Maywood; and Maywood Station including its role in the development of Maywood and its recent restoration and museum with over 200 quality images and detailed captions.